The Chevelles were formed in the summer of 1963 in Aberdeen, South Dakota. 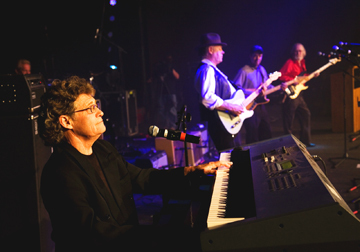 Brothers Gordy and Kenny Zens were veteran musicians, having played in bands for three years. Neighbor John Bomar, who learned to play bass guitar from Gordy, convinced the brothers to start a new group. They invited drummer Marty Mortenson into the fold and the Chevelles were complete. This was the time the "British Invasion" was taking place and it didn't take the guys long to perfect the "English Sound". They also specialized in performing instrumentals by the Ventrures, one of their favorite groups. Initially the Chevelles played local venues in the Aberdeen area but as they gained popularity and perfected their sound the band began touring throughout the Upper Midwest. One of their favorite ballrooms was the Spearfish Pavilion in the Black Hills. The Aberdeen area had several very good bands in the mid sixties, including the Mystics, 2009 inductees into the SD Rock and Roll Hall of Fame. These two bands were friendly rivals and both drew large crowds where ever they played. At the 1965 World's Fair in New York City each state was requested to send a band to perform live and the Chevelles were chosen to represent South Dakota. They spent two weeks playing at the US Pavilion, NY Sate Pavilion, and other locations. The band continued to perform together but when the Vietnam War heated up several member were called to duty and they broke up i the mid sixties. Gordy Zens has stayed involved in music and still performs as well as offering guitar lessons in Aberdeen.